I remember the first time Marc Benioff smashed the walls of Salesforce’s corporate hierarchy by hosting a live broadcast all-hands Q&A. It was both magical and prescient. The Chatter team and I watched with delight as entry-level employees engaged directly with their CEO in real-time. The live broadcast (actually at first it was just a conference call with a dedicated Chatter stream) was so popular that Marc made it a standard practice. From then on previously closed-door executive off-sites and sales kickoffs were broadcasted to the entire company via a combination of video, audio, and interactive Chatter feed. Many CEOs are following Marc’s lead toward radical transparency. Unfortunately, conventional tools have made this level of transparency quite difficult – until now. Today’s mobile chip technologies now have the processing power to broadcast live video anytime, anywhere. Meerkat, a new live streaming social technology, broke out at this year’s South by Southwest (SXSW) conference much in the same way Twitter did in 2007. While tech enthusiasts predict Meerkat will transform social media, I think its most profound impact may be inside corporate enterprises. South by Southwest (SXSW) has become the unofficial hatching grounds for breakthrough social technologies. Twitter had its breakout moment in in 2007 followed by Foursquare in 2009. Meerkat took the top honors for 2015. I've been using it for a week and have already watched my colleagues’ seminars from across the country and seen Jimmy Fallon’s monologue rehearsals. I’m a big fan of video (which is why I joined the founding team at Highfive) because it engenders a more authentic human connection than a filtered photo or carefully considered one-liner does. While I appreciate Meerkat’s social media significance (I did enjoy the behind-the-scenes view of the Tonight Show), I find a Meerkat equivalent inside my company infinitely more interesting. Customer visits - why should sales and customer success be the only departments who hear firsthand from customers? Now engineers and other historically less customer-facing employees can hear product feedback directly from customers without leaving their desks. Informal CEO addresses - executives shouldn’t have to wait for formal all-hands meetings to communicate with their teams. Short company-wide messages after winning a big deal, launching a new product, or crossing an important milestone, can be even more effective. Sharing sales success - sales executives can now broadcast the winning strategies for recently closed with the entire sales force. Retail - on-site associates can broadcast storefronts and merchandising displays to HQ to make sure the setup perfectly matches upcoming campaigns. Manufacturing lines - frontline manufacturing employees can broadcast the latest production runs or elicit real-time feedback on physical prototypes. The potential use cases are endless. What do you think? 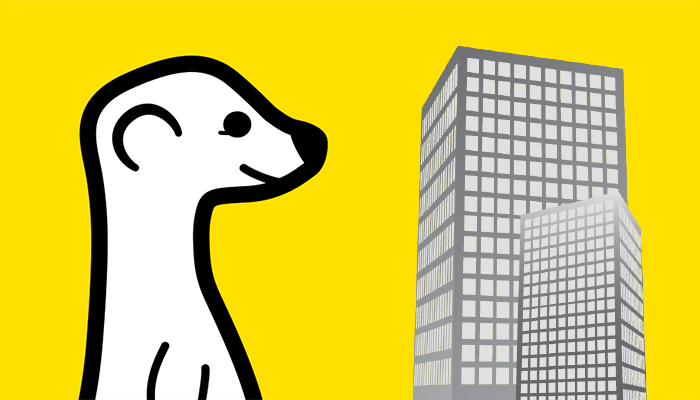 How would your team use an enterprise version of Meerkat?